6 days istanbul package – Binham Travel Services (Pvt) Ltd. Arrive in Istanbul Ataturk Airport (flight details to be advised) you will meet with English speaking Travel Ideas representative holding a name sign outside the luggage claim area at the airport, transfer to hotel by a private vehicle for check-in & rest. (Early check-in upon availability) Remainder of the day at your own leisure. Overnight at hotel in Istanbul. After your breakfast at 8:15am meet with your English speaking professional guide at the hotel lobby for your REGULAR (SIC) Istanbul Old City tour. Next you will visit the HIPPODROME, which was one of the largest chariot race grounds of the Byzantine Empire. Here you can see the Egyptian Obelisk brought from Egypt by Emperor Theodosius; the Serpentine Column (Tripod of Plataea) from Temple of Apollo at Delphi and the Tiled (Walled) Column erected by Constantine Porphyrogenitus at 10th century AD. 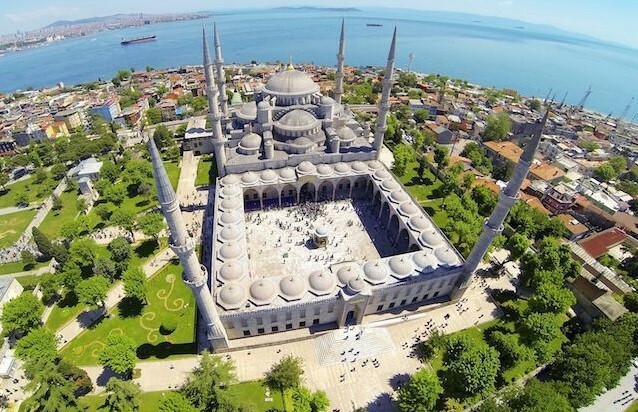 Then you will visit the serene BLUE MOSQUE one of Istanbul’s most venerable monuments. 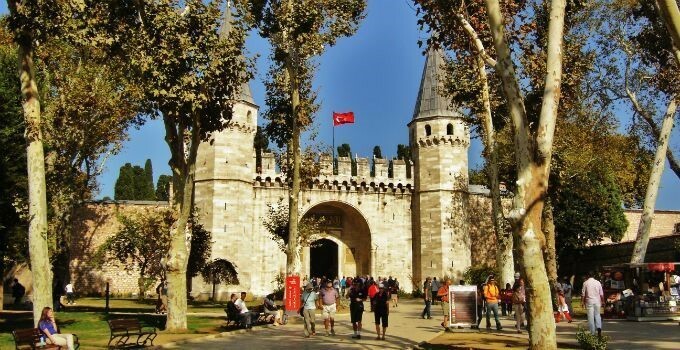 It was built in 7 years (1606-1609 AD) with the order of Ottoman Sultan Ahmed I. From the courtyard you will enjoy the striking view of the cascading domes and semi-domes. Once inside you will see how the mosque got its name, viewing the colorful blue Iznik tiles that adorn the interior. These tiles were made at the peak of Iznik tile production in the early 17th Century. After lunch you will visit the ST. SOPHIA, the church of the Divine Wisdom. The architectural marvel of all time. It was built during Emperor Justinian reign (AD537) and it remained the greatest church in Christendom until the conquest of Constantinople in 1453 by Sultan Mehmet II who ordered to convert Hagia Sophia into a Mosque. In 1934, proclaimed as a museum. 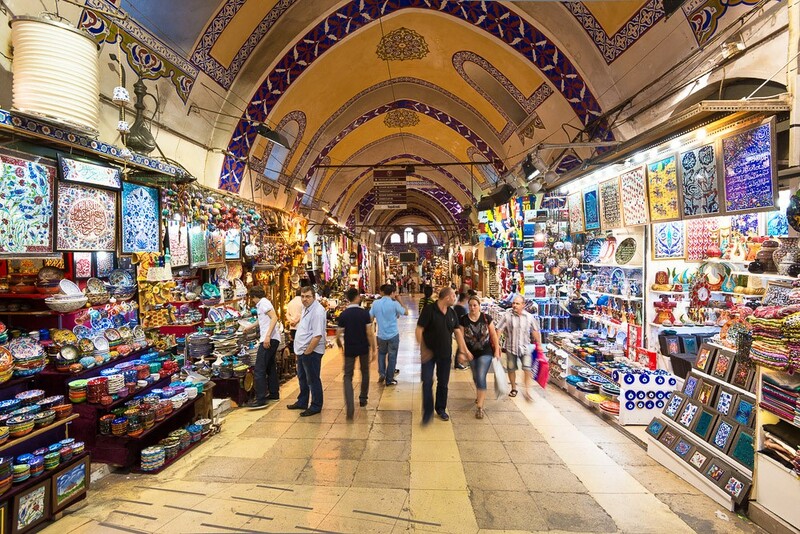 After lunch you will visit the GRAND BAZAAR, the largest and oldest covered Bazaar in Turkey with more than 4,000 shops. A variety of handicrafts, carpets, rare jewels and souvenirs all sold in small shops next to each other. The merchants are selling everything from antiques, home wares, books, copper ware, ceramics, gold and souvenirs. Venture into the hidden courtyards or hans, lookout for marble fountains and ornate kiosks. Streets are named according to the trades and the most oriental atmosphere in Istanbul is found in the bazaar. At the end of your tour, back to your hotel. Dinner on your own. Overnight at hotel in Istanbul. Today at your own leisure to explore the city or make some shopping. At 7:30pm you will meet with English Speaking Travel Ideas representative at the hotel lobby and transfer to local pier to embark a boat for dinner & dance show on the Bosphorus. Menu: Traditional Turkish Starters Plate (10 Different cold starters), Seasonal salad, Main Dish (served with rice and garnitures), Grilled Fish or Grilled Chicken or Meatballs, Dessert & Fresh Fruits, Unlimited soft drinks. (Whirling Dervish, Folk Dances & Belly Dance performances) At the end of the night (11:45pm) transfer back to your hotel. Overnight at hotel in Istanbul. Today at your own leisure to explore the city or make some shopping. Overnight at hotel in Istanbul. 1 Arrival private transfer from Istanbul Ataturk Airport to hotel on Day 1. 5 Nights accommodation at hotel in Istanbul. 1 Full-day regular (SIC) old city tour in Istanbul on Day 2. 1 Departure private transfer from hotel to Istanbul Ataturk Airport on Day 6. All meals as stated above. Licensed professional local guides in English language. At the discretion of the guests. Our net price is 225 Euro per 1 person in 1 double room at Hampton By Hilton Zeytinburnu Hotel.